This Valentine, I decided to make a card for my husband. I was inspired by Amy of Eat Drink Chic's blog. 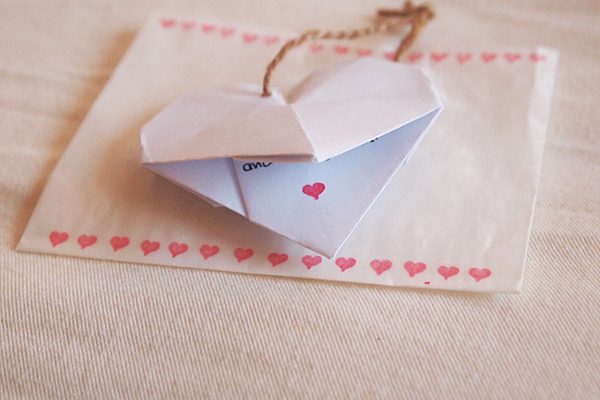 I love how you can write a hidden note inside the heart! How neat! 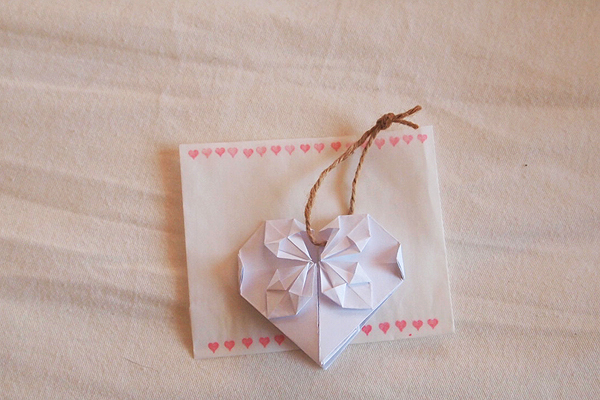 Here is a link of origami heart card instructions. Check it out!